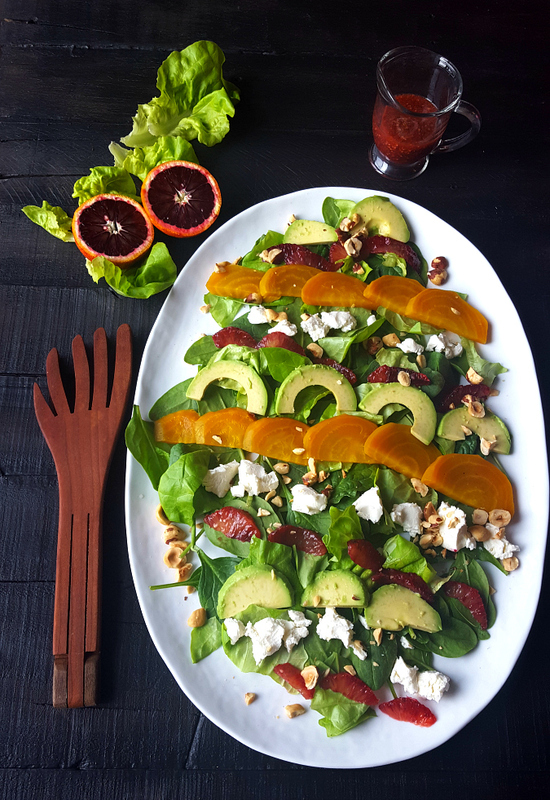 Ready for a gorgeous winter salad full of color, flavor and texture? 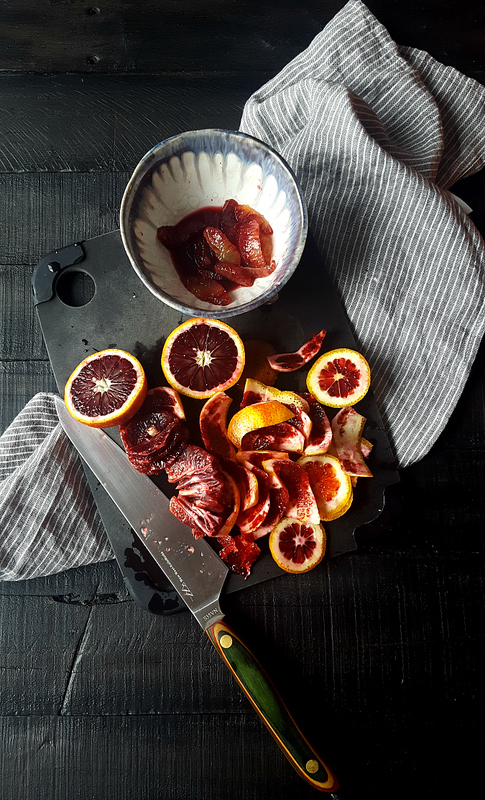 Then you must make my Beet, Blood Orange & Avocado Winter Salad pronto. This salad will be perfect for Valentine's Day dinner at home, or Meatless Monday dinner, or a random I ate too much last night so need a lighter lunch meal, which was the case for me yesterday. I love the combination of roasted beets, citrus and cheese. This time I opted for golden beets, blood oranges and goat cheese. This is a layered salad but you can mix it if you want. I happen to find this presentation elegant and perfect for one or a party. 1. Arrange all ingredients other than mustard, olive oil and salt on a large platter. 2. Whisk together blood orange juice, whole grain mustard and olive oil. Season with salt. Use whichever proportion you like. 3. Drizzle the dressing on top of a salad. Yes, I ate the entire platter: it was so satisfying. 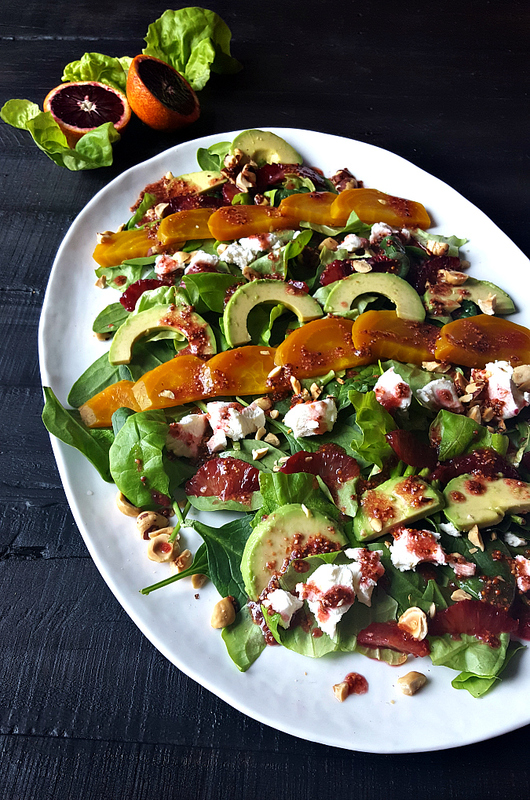 I loved the creaminess of the avocado and goat cheese contrasted with the toasted hazelnuts. What are YOUR favorite winter salads?